Nobody likes tax season, but you can take the sting out of your return—and possibly end up with a bigger refund—if you know what to look for. 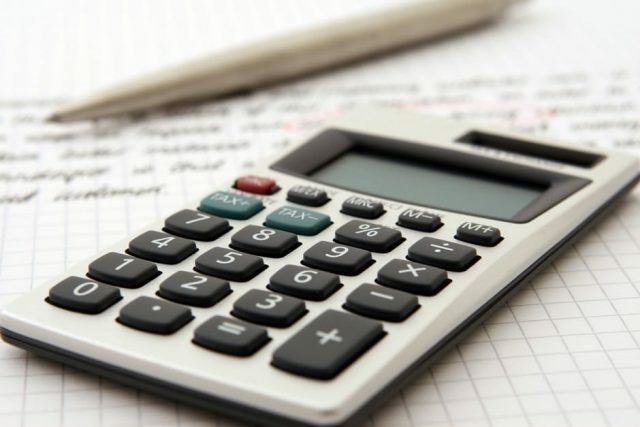 Tax credits exist to incentivize certain actions, or to stimulate the economy by putting more money in taxpayers’ hands, but many of these tax credits aren’t common knowledge, and even the ones that are come with pitfalls you’ll need to understand before proceeding. First, you need to understand what tax credits are and how they function in your tax return. According to E-File, tax credits are similar to, but distinct from deductions. Tax deductions work by reducing the amount of taxable income you have, while tax credits reduce your overall tax liability. Two people who qualify for the same tax credit will see the same reduction in amount of taxes owed, regardless of how much money they make. You can claim these credits on your return using the corresponding paperwork (there are usually specific forms to use); however, you’ll need to be prepared with facts and documentation if you want to legally qualify. So what are the most popular tax credits? 1. Retirement savings. It’s important to save for your retirement, through retirement accounts like IRAs, or through work-related plans like a 401k or 403b. The IRS has a useful chart to determine how much this credit is worth; you may qualify for a credit of up to 10 percent, 20 percent, or 50 percent of your total contribution, depending on your household income. The credit does not apply if you make more than $31,000 (single) or $62,000 (married, filing jointly) per year. 2. Earned income. One of the best-known tax credits is the earned income tax credit, or EITC. Taxpayers qualify for this credit if they make below a certain amount of income; for single tax payers without children, this comes out to $14,880 per year. However, the rules and limitations for this tax credit are somewhat complex, and it’s easier to qualify if you have multiple dependents. For more information, the Center on Budget and Policy Priorities has a helpful guide to walk you through the subject. 3. Education tax credits. The United States wants to support students pursuing a college education, so there are actually multiple separate tax credits you can qualify for if you’re currently enrolled in a university or are paying back student loans. The American Opportunity credit is one of the most popular you’ll need to consider, but familiarize yourself with the IRS’s entire tax policy for education-related expenses before you file. 4. Child and dependent care. If you currently have a child (or other dependent), and you paid to have them watched or cared for while you went to school or work, you may qualify for a tax credit. Depending on your income level, you may be able to claim up to 35 percent of the child care expenses you paid. 5. Advanced premium (healthcare) credit. The advanced premium credit is a tax credit you can take proactively through Healthcare.gov to lower your monthly insurance premiums. The credit works on a sliding scale and takes a number of factors into consideration. If you’ve taken less than you qualify for, at the end of the year, you’ll receive a refund for the difference. 6. Child tax credit. If you have a child, you qualify for an additional tax credit. Easy, right? You could easily qualify for up to $1,000 here, but you must meet a list of criteria. The child must be qualified as your dependent, must be under 17, must be related to you, and must live with you a certain percentage of the time. 7. Elderly and disabled credit. Certain individuals over the age of 65, or those who have retired on permanent disability, may qualify for a tax credit of up to $7,500 (if they have taxable income). However, the income limits for this credit are very low, making it hard to qualify for. 8. Energy saving credits. Finally, you may consider taking advantage of energy saving credits, through the Energy Star program. Many of these tax credits have either expired or been scaled back, so there are only a handful remaining. Take advantage of them while you still can!